How to Manage Your Child's Halloween Candy Consumption - Energetic Juniors - Contact Us! 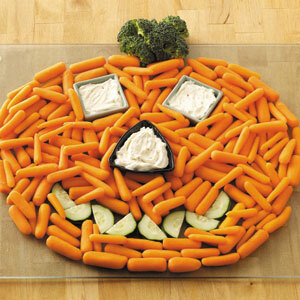 In preparation for the excitement surrounding the occasion, use your garden variety fruits and veggies to make spooky snacks or side dishes. It’s a win win for parents looking to boost veggie intake. Consider creepy finger tips sticking out of dips using carrot sticks and string cheese or edible eyeballs with olives, tomatoes and cucumbers. You can find all sorts of fun recipes online. Depending on the age of your child the timing of dinner will be a logistical piece to this. Assuming we are looking at the younger crew it is before dinner. Make sure your kid(s) has had a healthy snack before hitting the pavement. This way you are ahead of the hunger. Come up with a realistic number of treats each is allowed while on the move–aim for somewhere around 2-3 pieces reminding them they can have another 2-3 after dinner. Wahoo! After all, so much is about the thrill of the catch! What to do with all of that candy? Set aside a comfortable amount for your standards. We recommend a piece per day, per child for 5-7 days. The rest of it can either be trashed (in our humble opinion, we prefer to protect those who might be less fortunate from the onslaught of candy donations) or we suggest judiciously doling out some and disposing of the rest. Each family will have their own ideas about having sweets in the home. We recommend not approaching this with a black or white mentality. Keep some of your child’s favorites on hand but out of site. Cupboards or freezers are great spots for these goodies. Use this season as a lesson in moderation and good self care. Nothing wrong with starting young and talking about our grow foods as compared to dessert. The Halloween craze will be front of mind for the short term so allow a sweet to be dessert for a bit. Soon thereafter, some lose interest and trash the remainder. Either way, you have kept a finite amount and we are on to the next.